Good evening everyone. Welcome to your midweek Graveyard Shift. I hope my fellow night owls are having a great day,. 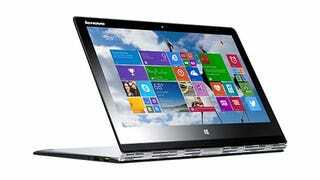 I am writing this on my new Lenovo Yoga Pro 3. I finally got out and spent the gift cards and money I for Christmas on a new laptop. I really wanted a new one to have at work when things are slow. I haven’t bought a high end product in a while and I was about to abort since i have a hard time not feeling guilty when I buy something for myself. But in the end I bit the bullet and I haven’t regret it. This leads into tonight’s topic. What was the last time you splurged on a new tech toy? If that topic isn’t up your alley, then talk about whatever you want. That is the name of this hole in the wall, after all. Tonight we’re going to go back to the 80s, to what the kids refer to as “dad rock”. Let’s rock out with some Axl and Slash, the Gun and Rose of Guns & Roses. Rock on kids!